Do you know someone who is obsessed with their pet? Out of ideas what to get them for their birthday or the holidays? Look no further! 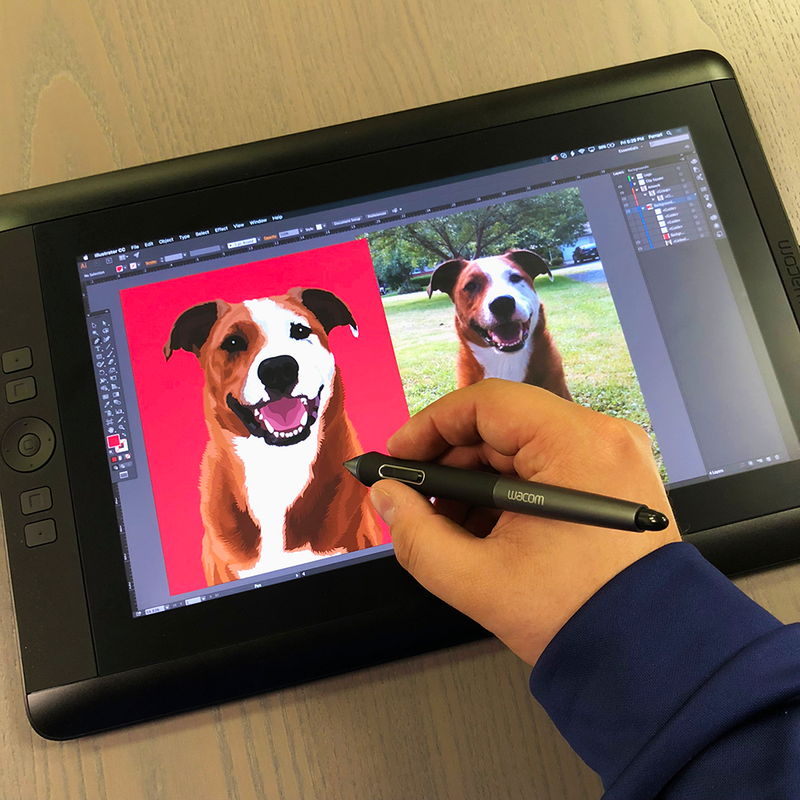 No gift can beat a custom portrait of their furry best friend! Durability, image clarity, and color accuracy are our top priority. Our inks are designed to hold up over time without fading. Every frame is built with a solid face to keep the canvas from deforming and loosening. Pre-installed hardware so you can hang your canvas immediately. No staples. Perfectly clean look. Every canvas comes with a sturdy black backer board. Super tight corners with no bulge. A uniquely professional finish. Packaged to arrive safe without damage. I ordered my canvas as an Easter gift for my boyfriend. The end result was more than I expected. The portrait was an exact match to the picture provided. I highly recommend this product to all pet lovers. I love the painting and background. I only wish they had centered the picture better. One of the dogs ears is off the canvas making it lopsided. This piece of personalized art turned out better than I expected! It is a purr-fect memorial to my sweet, furry, friend. These were a perfect addition to our game room! The picture of our dog turned out great and is so cute! I bought a picture of my dog for my dad, and he absolutely LOVED it!! I will be buying more in the future as gifts for sure! Really happy with my 16 x 20 canvas print. The final piece came out great and highly recommend to all pet lovers! Honestly, I absolutely LOVE my picture!!! The technology and process to submit and then approve the artwork was so cool, and my finished product could not be any better!! I have told so many people about it...completely glad I ordered it! Thank you! The finished product looked exactly like my Roxie.